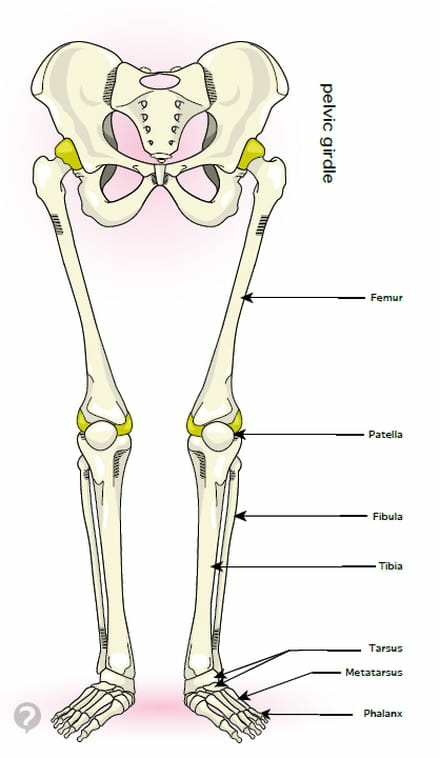 Found in the leg, the fibula forms, along with the tibia, the portion of the skeleton extending from the knee to the ankle. The main role of the fibula is to ensure the stability of the ankle. It has no real influence, however, on knee movement. As with any bone, the fibula can be fractured after a major shock. In most cases, a splint is sufficient to maintain the bone during the time it needs to heal. A cast is used for more complicated fractures. Physiotherapy exercises are sometimes necessary. Published by christelle.b. Latest update on August 20, 2014 at 05:40 AM by christelle.b. This document, titled "Fibula," is available under the Creative Commons license. Any copy, reuse, or modification of the content should be sufficiently credited to CCM Health (health.ccm.net).